Few people come by a perfect smile naturally. Most have to work at it. 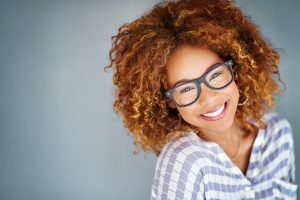 If you have a healthy smile, but would like to brighten it up for this New Year, resolve to get a cosmetic dentistry consultation at LIC Dental Associates, your dentists in Long Island City. From simple whitening to full smile makeovers, Drs. Ishwinder, Bindner and Bizzell will help you achieve your brightest, most attractive smile. What Bothers You about Your Smile? For most people, it’s tooth color. Then, there’s those chipped teeth or small annoying gaps. Some adults wish they had worn braces as kids, but now, they are just too embarrassed to sport that “metal mouth” look. As a result, they cover their crooked smiles when they laugh. What can you do about those dental imperfections? The cosmetic dentists at LLC Dental Associates in Long Island City invite you to explore their superior aesthetic dental treatments. One may be perfect for you, or you may opt for a more extensive makeover depending on your need and preference. During a one-on-one cosmetic dentistry consultation, Drs. Saran, Bindner or Bizzell will examine your teeth and gums and offer recommendations appropriate for your oral health and personal appearance. They will definitely want your input on how you would like your finished smile to appear. So, come prepared with your ideas! Teeth whitening The doctors offer both in-office and take-home options which utilize a powerful hydrogen peroxide gel. The active ingredient safely bleaches stains built-up by years of smoking, coffee, dark foods and simple age. The in-office version takes just an hour, while the home version takes a more gradual week of daily applications. Smiles brighten by about eight shades of color. Porcelain veneers These tooth-shaped shells of dental ceramic are custom-made to cover the frontside of teeth spoiled by defects such as chips, hairline cracks and deep stains. Dr. Saran and his colleagues recommend them for patients who want a substantial cosmetic boost for their otherwise healthy smiles. Invisalign clear aligners This inventive orthodontic system features practically invisible acrylic appliances which snap tightly over top and bottom teeth. They gradually move teeth into more attractive and healthier positions, changing smiles in as little as nine to 12 months. Fully removable, the aligner pairs are comfortable, removable, and require no complicated adjustments, dietary changes or lengthy hygiene routines. BOTOX injectables and Dermafillers These aesthetic facial treatments erase years of frown lines, fine wrinkles and other signs of aging and sun exposure. BOTOX also treats the substantial discomforts of TMJ or Temporomandibular Joint Dysfunction, a common oral health problem. All-ceramic restorations blend in seamlessly with your natural teeth. Crowns, inlays, onlays and bridgework restore and protect teeth and fill smile gaps just beautifully. And, your cosmetic dentist in Long Island City has a lot to offer you and your smile. Why not contact LIC Dental Associates today for your personal consultation with one of our fine dentists? You can show off a sparkling new smile in 2017.